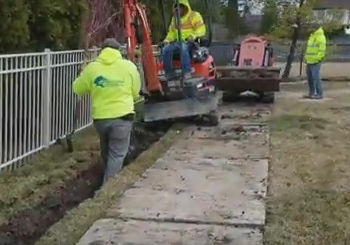 We’re in Macomb Township, Michigan, installing a French drain system. Wanted to talk about the slope that the developer leaves you with. When the engineers design a subdivision, for example. And they have to account for slopes. On the east side of Michigan, we’re extremely flat. And, most people don’t realize this but the minimum that the engineers are allowed Is 1% slope. Now after three decades of de-watering yards, 1% slope’s fine on concrete, parking lot surfaces, asphalt, I’m all for it. I disagree though, however, when it comes to where there’s going to be turf grass. Water can’t find its way to the storm drains. When you’re working with 1% slope, it’s not enough to get water out of turfgrass. Now this yard’s really nice. I like that, I like that a lot. So the problems are around the edge of the property, down the side of the lot, across the back of the lot. So what we’re going to do is we’re going to remove 14 inches of this heavy soil. 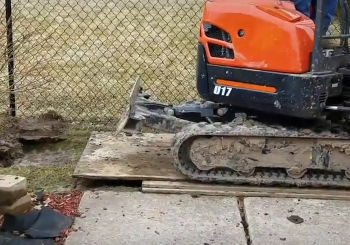 And on top of that, there’s this really heavy soil here in Macomb Township, Michigan, so a French drain is your best option. So, you can see we already have water that’s just pouring out of the subsoil which is fantastic, that’s great, that’s what we want. 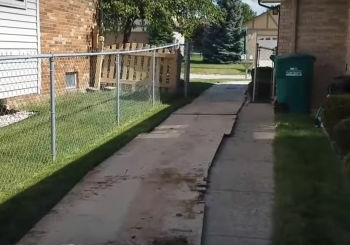 We want this whole channel to be full of stone and this French drain system’s gonna move a lot of water. This French drain system’s going to be a French drain system that lasts. You could see we take off the original turf, and we want two and a half inches, a root. 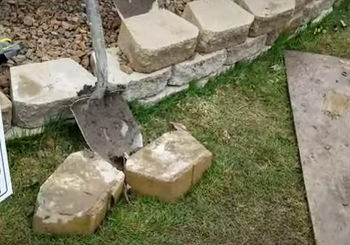 You could grow grass over the top of a French drain system. 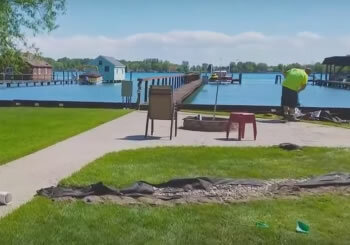 If you have an irrigation system, you’re never ever going to have a problem, because this will now be the dryest point in the yard, this will be the first place that shows drought. 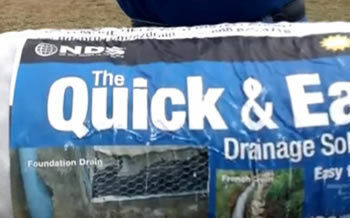 When you’re looking to have a French Drain System installed right the first time, give us a call at 248-505-3065.